Studio with Bay and City Views available in the HEART OF BRICKELL. Kitchen has Granite Countertops. Walk-In closet. Cable and Internet included in Maintenance. 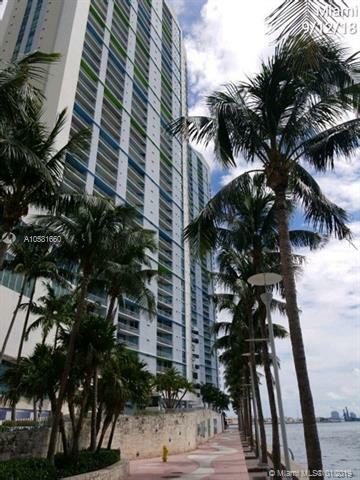 Great location in the Heart of Brickell. In the most progressed and Financial District Area. Enjoy the full amenities of the building, 2 pools, exercise room, common laundry facility, clubroom, shipping/receivable services, valet services, and 24-hour front lobby attendance. Close (just across street) to Brickell City Center, Mary Brickell Plaza, upscale restaurants and shops. No Association Interview required, just an application. Investors or Corporation welcomed. See brokers remarks. This unit is rented but the building allows Air B&B, Short Term Rentals, Vacation living, only thing required is to apply to HOA. Rented at $1425.